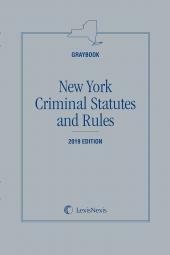 An indispensable one-volume publication featuring the complete New York Criminal Procedure Law, Penal Law, and Correction Law, together with related relevant statutes and court rules. 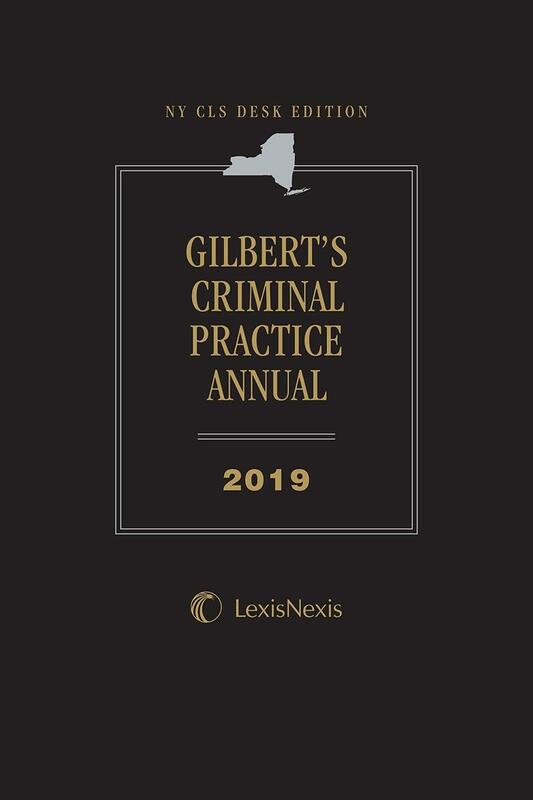 This latest edition of NY CLS Desk Edition: Gilbert's Criminal Practice Annual is an indispensable one-volume publication featuring the complete New York Criminal Procedure Law, Penal Law, and Correction Law, together with relevant provisions of the Civil Practice Law and Rules, Executive Law, Family Court Act, Judiciary Law, Public Health Law, Vehicle and Traffic Law, and Court Rules. Statutory provisions are followed by concise legislative history, practice insights, and selected case annotations. • Criminal and related statutes, updated through most recently completed legislative session. • Selected New York court rules. • Dozens of Practice Insights written by experts in the field, commenting on statutory sections throughout the Criminal Procedure Law and Penal Law. • Hundreds of concise, authoritative case annotations relating to statutory sections throughout the publication. • Sentencing Guides, by Hon. 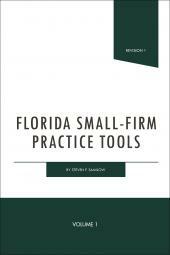 Barry Kamins, designed to assist the practitioner in understanding the sentencing statutes contained in the Penal Law and Criminal Procedure Law. • New York Court Structure Chart and Court Directory. All primary source updated by the Publisher's Editorial Staff. Case annotations updated by Jill Simon Shapiro, Esq., Chappaqua, New York. 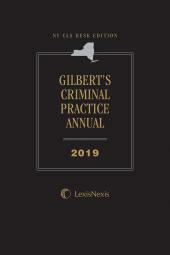 Criminal Practice Insights updated by John M. Castellano, Deputy Executive for the Legal Affairs Division in the District Attorney's Office, Queens, New York. Sentencing Guides authored by Hon. Barry Kamins, retired Supreme Court Justice, Kings County, New York.